JB and I managed to get out yesterday and fish for a few hours before the cold, raw winds moved in and shut things down. I got to the river about 3:30PM, and JB was still on his way. A few hendricksons hatched here and there, but they were being ignored as they drifted and took flight from the water surface. 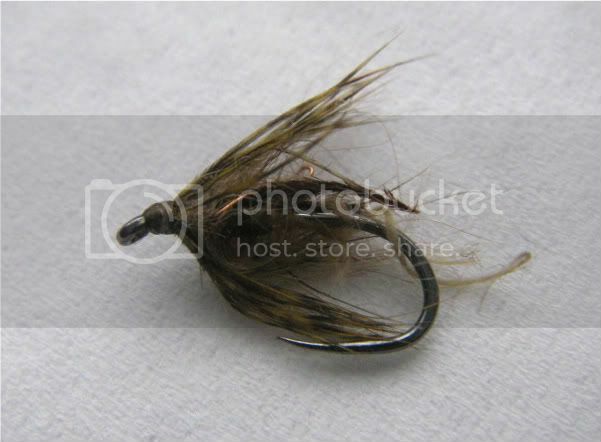 Knowing the nymphs would be active, I tied on a soft hackle hendrickson emerger, and before long I was into fish. I could see the trout taking the nymphs in the water column throughout the run. The golden-silvery flash of their flanks gave them away as they rushed to take the ascending nymphs before they reached the surface. In the first half-hour or so, I caught many fish by dead-drifting my fly through the lanes I saw trout feeding in, a foot or two under the surface. I had a small split-shot 6 inches or so above the fly. Most of the fish took the fly as it drifted toward them, and the others took it as it rose at the end of its drift as the current tightened my leader and line, bringing the fly upwards as though it was about to hatch. JB arrived and along with his fly rod, he had his camera, hoping he might get some underwater shots for my book. He got there just as the trout started taking the emerging mayflies off the water surface. So I took the split shot off my leader, then I dried the fly by squeezing it in a felt patch followed by a generous application of Frog's Fanny dessicant. My soft hackle was now a soft hackle hendrickson dry fly. I then would pick out a rising fish, cast the fly above it and let it drift down into the fishes feeding lane. 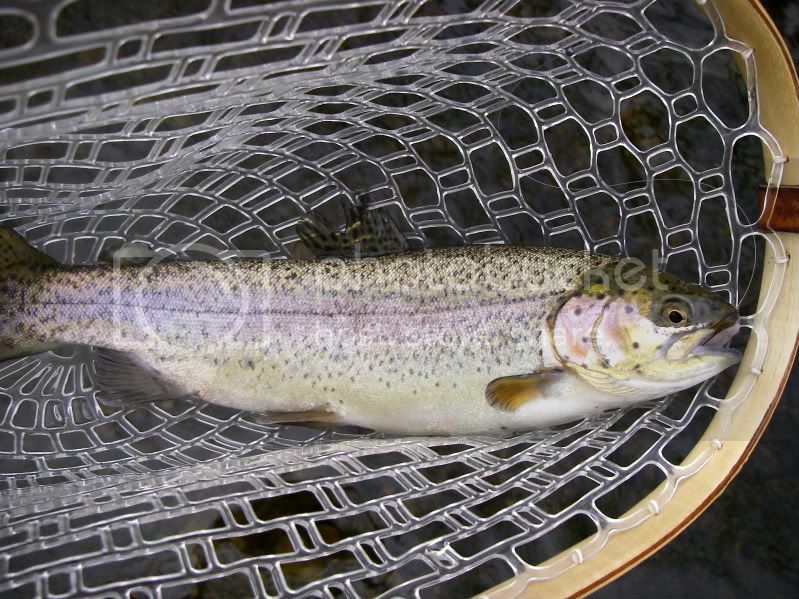 A good cast and nice, drag-free drift, many times would draw the trout up out of the depths to take the offering. As more hendricksons hatched, more fish rose to them, giving me multiple targets up and down the long run. I caught a boat load of trout during this period, and JB took a boat load of photos of many of the fish just before I landed them. I don't know how he managed to keep taking photos, because if that were me and all those trout were rising around me, I would put the camera down and start fishing! Of course, JB could only hold out so long. And how many pictures can you take before you've had enough. He grabbed his rod, I gave him a couple of my flies, and he headed upstream of me to fish the top of the run. In short order he was into a nice rainbow that put a deep bend in his new 9ft 5wt, before tossing the fly. And then, a half-hour later, it was over as quickly as it started. A moist cold wind kicked up, clouds blocked the sun, and the bugs stopped hatching as though someone had flipped a switch to off. The trout quit rising just as quickly. We continued fishing though, as the trout continued to take nymphs below the surface. I added a split shot to my leader, and using the same fly, took a bunch more fish before the raw weather got the best of us and we packed it in. Here's a soft hackle hendrickson before being fished. As I write this, it is windy and raining out....and cold. I doubt the hendricksons hatched today around here, so yesterday is even sweeter knowing I hit it right. Sharpen your hooks and go fish!